What is the most important skill a person can have? There is a myriad of skills that can be added to our repertoire, enhanced, and improved. There are thousands of courses, millions of books and articles, and countless tips and suggestions to improve our lives by cultivating a certain skill or set of skills. But which one is most important? There may not be a definitive answer to that question, but I think one of the most common answers would be: communication (or interpersonal) skills. It is simply a fact of life that we will encounter thousands, even tens of thousands, of people in our lifetime. While we don’t need to make a good impression on each individual we meet (which would be an impossible task anyway), we do need to at least get along with others well enough to get by. This is especially true for those of us struggling with a mental disorder like depression, anxiety, or Borderline Personality Disorder (BPD). It can be doubly difficult for people with these obstacles to effectively interact with others. Fortunately, there are ways to enhance your interpersonal effectiveness. Whether you are a successful public speaker or an introverted loner, there are resources and activities that can help you improve your communication skills and enhance your quality of life. What is the Definition of Interpersonal Effectiveness? Each goal requires interpersonal skills; while some interpersonal skills will be applied in many situations, some skills will be especially important for achieving one of these goals. When we are working towards gaining our objective, we need skills that involve clarifying what we want from the interaction, and identifying what we need to do in order to get the results we want. When maintaining our relationships is our first priority, we need to understand how important the particular relationship is to us, how we want the person to feel about us, and what we need to do in order to keep the relationship going. Finally, when our goal is to keep our self-respect, we will use interpersonal skills to help us feel the way we would like to feel after the interaction is over and to stick to our values and to the truth (Vivyan, 2015). Interpersonal effectiveness is the main focus of Dialectical Behavioral Therapy (DBT). In fact, it’s the second core skills module in classic DBT, with tons of materials and resources dedicated to improving the client’s interpersonal skills. You might be wondering why interpersonal effectiveness is so important that it warrants an entire module in one of the most popular forms of therapy. Sure, communication is important, but does it really require this much time and effort? Why? DBT’s take is that these skills are so important because the way we communicate with others has a huge impact on the quality of our relationships with others and the outcomes of our interactions with others (Bray, 2013). In turn, the quality of our relationships and the outcomes of our interactions have a significant influence on our well-being, our sense of self-esteem and self-confidence, and our very understanding of who we are. By now, you have surely recognized the importance of having good, or at least adequate, communication and interaction skills. However, you may be thinking that if you have the skills to communicate with others at a minimum level of effectiveness, you’re set! Why bother working on skills you already have? Like any set of complex skills, there will never be a point at which you have completely mastered them. Even the best motivational speakers and public relations experts are not perfect communicators. There is always room for improvement! Research has provided evidence that improving these interpersonal skills leads to positive outcomes, especially for clients with Borderline Personality Disorder (BPD). For example, DBT skill utilization has been shown to improve BPD symptoms overall, reduce affective instability, and improve the client’s relationship capabilities (Stepp, Epler, Jahng, & Trull, 2008). While there are many worksheets and individual exercises you can engage in to build your interpersonal skills, they are not always the most effective way to do this. It’s no surprise that the best way to improve your interactions with others is to practice interacting with others! Not only are group activities generally more effective in improving interpersonal skills, they are often more fun. Below, we’ve listed and described 5 fun games and activities that you can practice to improve your interpersonal effectiveness (as well as one handout you can use to assess your interpersonal skills). Before trying to improve your interpersonal communication skills, it is a good idea to find out where you currently are with each one. The assessment on page 3 of this handout can help. You can take the average of your ratings to give yourself an overall “interpersonal effectiveness” skill rating, but the individual ratings are valuable by themselves. If you are looking to enhance your communication skills, make sure to establish a baseline first. If you have a baseline to compare back to, it is much easier to notice improvements! In this fun and potentially eye-opening activity, group members will get a chance to put their acting chops to the test. The group should be broken into pairs for this activity. In each pair, one individual should be designated to speak first while the other “listens,” before switching roles. The first speaker (Partner A) is instructed to talk for two minutes straight, about any subject they’d like to talk about. While Partner A is speaking, Partner B’s job is to make it crystal clear that he or she is not listening to Partner A at all. Partner B cannot say anything, instead relying on body language to communicate their message to Partner A. The group will likely find that it is extremely hard to keep talking when their partner is so clearly not listening! This is an important lesson from the activity: that body language plays a vital role in communication, and listeners have a significant influence over how the interaction goes in addition to those speaking. Once all group members have taken their turn both speaking and “listening,” each individual should write down their immediate reactions to having a speaking partner that is clearly not listening. I felt that I wasn’t important. I felt like what I was saying must be boring. I felt insignificant and unimportant. While this exercise is clearly an exaggeration of what it is like to talk to someone who isn’t listening, this can help those who are not very observant or limited in their social skills to monitor their own behavior when interacting with others. It’s easy to decide to practice active listening in your interactions, but it’s harder to keep all of the target behaviors (and all of the decidedly non-target behaviors) in mind. Practicing this exercise will help participants identify and remember the behaviors that make a person a good listener. You can find this exercise on page 4 of the handout mentioned above (Interpersonal Skills Exercises). This is another fun exercise that incorporates poor interpersonal behaviors in order to highlight what the good interpersonal behaviors are. This exercise should be undertaken in a fairly large group, large enough to break into at least two or three groups of four to five individuals. Instruct each group to take about 10 minutes to brainstorm, discuss, and list all the ways they can think of to sabotage a group assignment. Anything they can think of is fair game – it just needs to be something disruptive enough to drive a team task right off the rails! Once each group has a good-sized list of ways to sabotage a group assignment, gather into the larger group again and compare responses. Write them all on the chalkboard, whiteboard, or a flip board in the front of the room. Next, reform the groups and instruct them to produce a 5- to 10-point contract with agreed-upon guidelines for successful group work. Group members should draw from the sabotage ideas (i.e., what not to do for successful group work) to identify good ideas (i.e., what to do for successful group work). For example, if a group listed “do not communicate with any of the other group members” as a way to sabotage the group assignment, they might come up with something like “communicate with other group members often” as a guideline for successful group work. This exercise will help participants learn what makes for a positive group experience, while also giving them a chance to have a positive group experience along the way. This exercise was described on page 14 of this handout. Groups have one very important advantage over individuals when it comes to accomplishing work – they can offset individuals’ weaknesses, complement their strengths, and bring balance to the group. Group members will engage in some critical thinking and discussion about their own strengths and weaknesses in this exercise, as well as the strengths and weaknesses of the other group members and the group as a whole. To give this exercise a try, instruct the group to think about the strengths and weaknesses of each individual group member. Encourage them to be honest but kind to one another, especially when discussing weaknesses. Once each team has come up with a good list of strengths and weaknesses for each group member, have each group think about how these will affect group dynamics. What strengths will positively influence group interactions? Which weaknesses have the potential to throw a monkey wrench into group interactions? Finally, have each team discuss the composition of a “perfect” team. Is it better to have members with similar characteristics or with a wide range of personalities, abilities, and skills? What are the advantages and disadvantages of each type of team? This discussion will help participants think critically about what makes a good team, how different personalities interact, and how to modify your behavior, group norms, or expectations to match the differing personalities and abilities of others. This exercise is also described on page 14 of the handout on interpersonal skills (Interpersonal Skills Exercises). This game is a fun and engaging way to encourage group interaction and communication. All you need is this image (or similar image of multiple squares), displayed on a PowerPoint presentation or on the wall or board at the front of the room. In the first step, give the group a couple of minutes to individually count the number of squares in the figure and write down their answer. They should do this without speaking to others. Next, have each group member call out the number of squares they counted. Write these down on the board. Now instruct each participant to find someone to pair up with and count the squares again. They can talk to each other when determining how many squares there are, but no one else. Have each pair share their number again once they are finished. Finally, have the participants form groups of four to five members each and instruct them to count the squares one more time. When they have finished, once again take down the numbers each group counted. At least one group will almost certainly have counted the correct number of squares, which is 40. Have this group walk the rest of the participants through how they got to 40. Finally, lead the whole group through a discussion of group synergy, and why the counts (likely) kept getting closer and closer to 40 as more people got together to solve the problem. Participants will learn about the importance of good group communication, practice working in pairs and in groups, and hopefully have fun completing this activity. You can find more information about this activity here. This game is a fun twist on an old classic – meeting a new person and introducing them to the group. You should plan this game on the first day of a group therapy, training, or other activity to take advantage of the opportunity to introduce each group member. Have the group members pair up with a person sitting next to them. Tell them to introduce themselves to each other and include something interesting or unusual about themselves. Once every pair has been introduced and has found out something interesting about the other person, bring the focus back to the larger group. Tell the group members that each person must introduce their partner to the group, but with a catch – they cannot use words or props! Each partner must introduce the other partner with actions only. This game is not only a great icebreaker for introducing people to one another, it’s also a fun way for group members to see both the utility of verbal communication (something you might only recognize when cannot use it!) and the importance of nonverbal communication. If you have time, you can lead the group in a discussion of nonverbal communication, the cues we pick up on in other peoples’ behavior, and how getting feedback from those you are communicating with is vital. While there are many ways to work on your interpersonal skills, it is a bit harder to find methods for improving your work-specific interpersonal effectiveness. Luckily, most of these skills transfer nicely from therapy to family life, interactions with friends, and the workplace. Additionally, there are some exercises and resources developed to improve work-related interpersonal skills directly. Below you will find a few different ways to improve your communication at work. This helpful handout can be reviewed and returned to while you or your client are working on enhancing interpersonal effectiveness. For each set, there is a handy acronym to help you remember which skills are included. D – Describe: use clear and concrete terms to describe what you want. E – Express: let others know how a situation makes you feel by clearly expressing your feelings; don’t expect others to read your mind. A – Assert: don’t beat around the bush – say what you need to say. R – Reinforce: reward people who respond well, and reinforce why your desired outcome is positive. M – Mindful: don’t forget the objective of the interaction; it can be easy to get sidetracked into harmful arguments and lose focus. A – Appear: appear confident; consider your posture, tone, eye contact, and body language. N – Negotiate: no one can have everything they want out of an interaction all the time; be open to negotiation. These skills allow those who practice them to effectively and clearly express their needs and desires, and get what they want out of an interaction. G – Gentle: don’t attack, threaten, or express judgment during your interactions; accept the occasional “no” for your requests. I – Interested: show interest by listening to the other person without interrupting. V – Validate: be outwardly validating to the other person’s thoughts and feelings; acknowledge their feelings, recognize when your requests are demanding, and respect their opinions. E – Easy: have an easy attitude; try to smile and act lighthearted. These skills help people to maintain relationships with others through fostering positive interactions. F – Fair: be fair; not only to others but also to yourself. A – Apologies: don’t apologize unless it’s warranted; don’t apologize for making a request, having an opinion, or disagreeing. S – Stick to Values: don’t compromise your values just to be liked or to get what you want; stand up for what you believe in. T – Truthful: avoid dishonesty such as exaggeration, acting helpless as a form of manipulation, or outright lying. The self-respect skill set will help protect you from betraying your own values and beliefs to receive approval or to get what you want. Knowing what these skills are and how they can be applied is the first step towards enhancing your ability to interact with others. You can find this handout online at this link. This worksheet helps you to identify and understand a situation you are struggling to accept, whether it is at work, in your personal life, an issue with your family, or something else entirely. Whatever difficult thing you are working through, you can use this worksheet to help yourself accept the reality of your situation. Next, you will describe the part of this situation that is difficult for you to accept. Then, you describe the reality of that situation. Think critically here about the reality, don’t just write down what you want the situation to be or what your worst possible interpretation of the situation is. After describing the reality, think about the causes that led up that reality (hint: you will probably notice that many of them are outside of your control!). This exercise from the National School Reform Faculty is a fantastic way for a team to improve their emotional intelligence together (Allen, 2015). o Likes to look at the big picture and all the possibilities before acting. o Likes to know that everyone’s feelings have been taken into consideration and that their voices have been heard before acting. o Likes to know the who, what, when, where, and why before acting. To begin the activity, point out the four points to the participants and ask them to read each one and select the one that most accurately captures how they work with others on teams. Have them walk over to that point and remain there for the activity. Once each participant has chosen a compass point, ask them to recall a personal past team experience that was either very positive or very negative. They shouldn’t share this experience yet, but they should keep it in mind to discuss later. North gets impatient with West’s need for details. West gets frustrated by North’s tendency to act before planning. South group members crave personal connections and get uncomfortable when team members’ emotional needs aren’t met. East group members get bored when West gets mired in details; East gets frustrated when North dives in before agreeing on big goals. Once participants have shared their responses to the five questions, ask them to recall their very positive or very negative team experience. 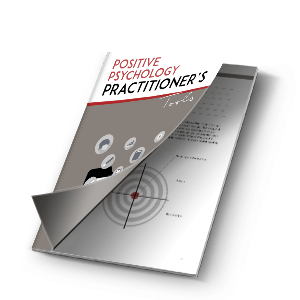 Tell them to take a moment or two to reflect on whether there was anything they learned from this exercise that helps them to better understand why their positive team experience was positive, or why their negative team experience was negative. This can be a great way to provoke some “a-ha!” moments (Allen, 2015). This activity increases our awareness of our own and others’ preferences. Increased awareness opens the door to empathy. Our preferences have their strengths and limitations. A diversity of preferences is what makes for better teamwork and results. You can find more information on this exercise here. In this piece, we defined interpersonal effectiveness, described its importance in terms of Dialectical Behavioral Therapy, and provided several ways for you or your clients to work on improving interpersonal skills. I hope I communicated my message clearly in this piece, and I hope you found a valuable takeaway from reading it. If you learned something particularly useful, what was it? Do you have other activities or exercises you use to keep your interpersonal skills sharp? Let us know in the comments! Thanks for reading, and happy skill-building! Courtney thank you,I am a school social worker and will be using some of these group ideas to push in to classes where there are students exhibiting behavior problems, such as bullying, instigating fights, and being disrespectful to authority figures in class. I will let you know of results in further commentary. 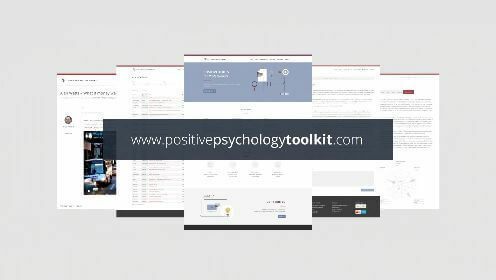 Courtney- I am a school psychologist and I want to thank you for coming up with these positive psychology exercises, keep them coming. Thanks for the wonderful work with this topic! It is very meaningful and practically. Courtney Ackerman is passionate on the subject which is so important in today’s world. Such literature is rarely available. Thank You So Much for your contribution.